Football is not always about the ability to shoot the ball with precision and strength. In fact, tactics play an essential part and, if executed well, can significantly influence the game result. Some managers and players were really creative and managed to introduce certain innovations into tactics that made football the second most important thing in the world. Let’s take a look at some of these tactics and how they are used nowadays. Before defense became a thing in football, everybody had put a great deal of energy and focus on attack. 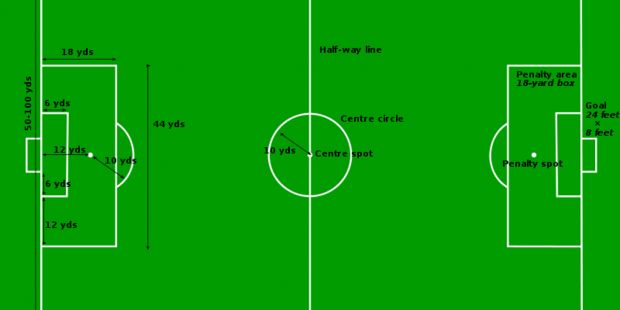 Formations, such as 2-3-5, were popular back in the day, leaving enough room for quick counter attacks and a lot of goals. Herbert Chapman, manager of Arsenal in the 20s, decided to put three players in defense, and the new formation looked like 3-2-2-3. The combination of letters WM simply depicts the way the system looks like on the field. The coach of Ajax, Louis Van Gaal, was a pretty creative and innovative football manager. He was a creator of the 3-3-1-3 formation that helped Ajax achieve a lot back in the season of 1994/95. This type of structure was inspired by Total Football and helped Ajax easily win the Dutch League. The team also won the European Cup thanks to this tactic that seemed unstoppable at the time. High levels of pressing and a high line of defenders could have become a catastrophe if it wasn’t utilized by the talented players Ajax had back then. Gegenpressing is roughly translated as counter pressing that made Jurgen Klopp famous. He had a very specific idea behind it, claiming that the best time to take the ball back from the opponent is as soon as you lose it. That actually makes sense because of the chemical process that happens in our body at the moment of gaining possession of the ball. Whenever we win anything, we get rewarded with dopamine and don’t think clearly for a moment. This is the best time to press the opponents, and it seemed to have worked with Klopp. Tiki Taka is a system also inspired by the Total Football but focused more on short passes. As soon as Pep Guardiola became FC Barcelona’s head coach, he knew that this tactic had to work. Not only did he have some of the best players in the world in his team, but he also trusted them enough to experiment with the Tiki Taka playstyle. The idea was to make many short passes and retain the ball as much as possible in order to confuse the opponent. Suddenly, football was not only about wings passing the ball to the center forward. It was about going in through the middle, so the second striker became as crucial as the CF. Total Football is the greatest tactic of all time and the creator that made this revolutionary innovation was Johan Cruyff. He moved to Barcelona in the 80s, only to create what many consider the best football team of all time. 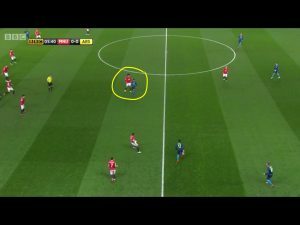 The tactic is based on two simple concepts: the first one is using space to create advantage, and the second is constantly changing the positions of the players in order to confuse the opponent. Furthermore, Total Football became the basis for many professional managers and inspired many others to experiment and make innovations in this sport.